Replacement • Governor picks deputy treasurer to fill post Richard Ellis vacated. Gov. 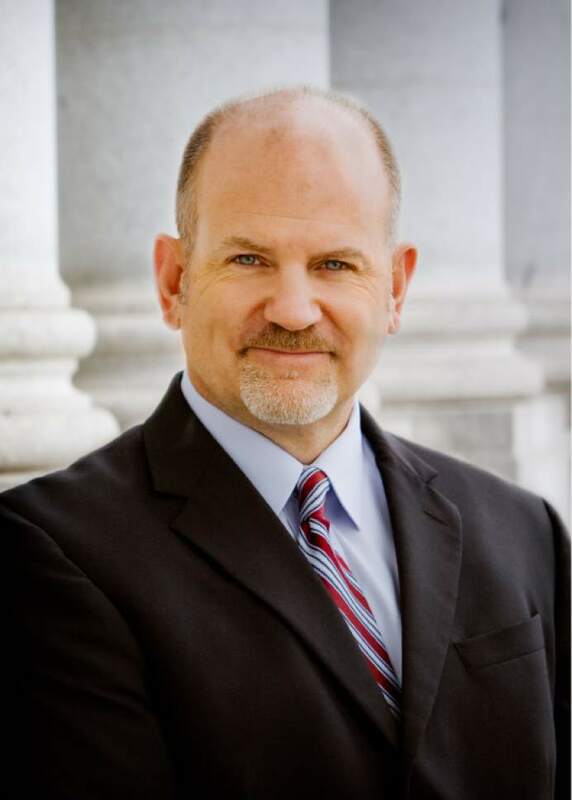 Gary Herbert appointed David Damschen to replace Utah Treasurer Richard Ellis on Friday, passing over the favorite choice of Republican delegates in favor of the man who had served six years as the top deputy in the office. "David epitomizes our fiscal conservative approach to government," Herbert said in a statement. "I have full confidence that his vision, knowledge and experience will continue to lead the Utah team to maintain our strong fiscal health and Triple-A Bond rating." As treasurer, Damschen will control the disbursement of state money and manage various investment funds, including the Public Treasurer&apos;s Investment Fund and the Permanent School Fund. Ellis, who was elected in 2008 and re-elected in 2012, left the office to take a job as senior director of compliance and communications at the Utah Education Savings Plan. Damschen will serve out the remaining year in Ellis&apos; term and may run for re-election next year. "I am humbled by this opportunity to serve Utah and its residents," Damschen said in a statement. "I understand the importance of this position and look forward to providing a fresh perspective to some of the critical issues Utah will face in the near future." Republican delegates favored Neil Walter, the chief operating officer and an owner of Brokers Holdings and a former congressional candidate. They gave him 77 percent of the vote during the recent state Central Committee meeting. Damschen finished second with 52.5 percent. Phil Conder was the third name sent to the governor. "Of course I&apos;m disappointed with the outcome. I went through a five-week vetting process with the 120 people who showed up to vote that day … and they were fully confident as evidenced, by the vote that I was the most qualified for the job," Walter said. "But the governor made a different decision and I guess that&apos;s his prerogative as the governor." Walter said he may entertain the idea of running for treasurer next year, but will take some time before making any decisions. Before becoming chief deputy under Ellis, Damschen was senior vice president and director of AmericanWest Bank and vice president of institutional trust and custody at U.S. Bank.